It is a “critical moment,” then, for any future leaders of Afghanistan — and a perfect time to welcome the latest group of fellows in Asia Society’s landmark program Afghanistan 21. For nearly a decade we have been selecting young leaders from across the Asia Pacific, and from all manner of professional backgrounds, to serve in a broad leadership network known as Asia 21. As the years have passed, and the network has grown into a movement (800-strong now), some fascinating offshoots have sprouted. Afghanistan 21 is one of these — a nascent network of young leaders, in a nation that will need great leadership, no matter what transpires in 2014 and beyond. This week we announce our choices for the new “Class” for Afghanistan 21. And we think you’ll agree — it’s a fascinating group. Ten young men and six young women; journalists and business people, diplomats and NGO workers. Oh — and one very celebrated athlete. Together they will gather in Kabul, bringing their rich and diverse backgrounds to the table, and take aim at the myriad issues facing their country. Also in the room will be Abdul Moqim Abdulrahimzai, a radio manager from Logar province; Freshta Karim, communication officer at ActionAid Afghanistan, who has also hosted a children’s television show and been a presenter on Radio Nawa; and Ramin Anwari, who has worked for Radio Liberty and the British Broadcasting Corporation (BBC). In other words, young Afghans who know the value of media, and how to communicate a story. Some have U.S. ties. 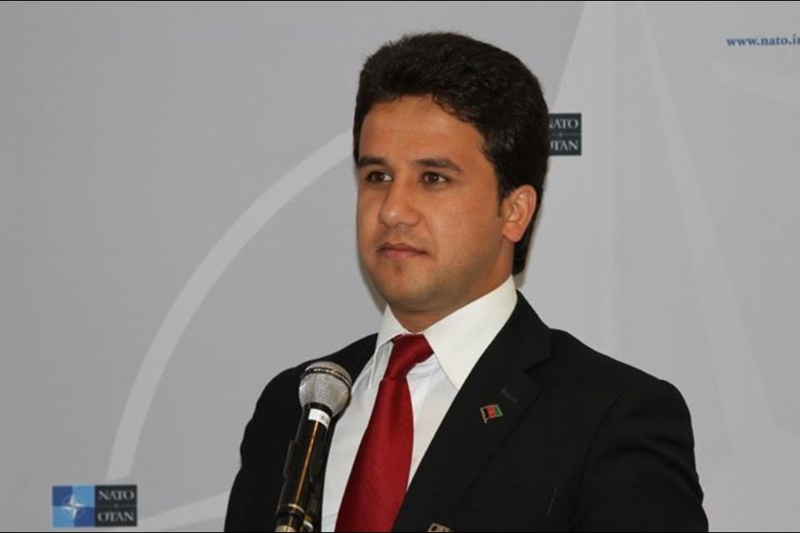 Sadiq Amini is a political-military assistant at the United States Embassy at Kabul, and a former Fulbright scholar. Ahmad Shuja won the Kentucky Political Science Association annual award for his thesis — and today he is partner and co-founder of Impassion Afghanistan, which works to support human rights and social entrepreneurship. Ghulam Sarwar Sultani most recently worked as a visiting research collaborator at Princeton University, where he was involved in a project that promotes the participation of Afghan youth in political, social and economic sectors. And Mir Zarif Waez is senior democracy and governance advisor in the Office of Democracy and Governance for USAID/Afghanistan. He is currently the project manager for a sub-national governance project that is working to build the capacity of the 34 provincial councils at the sub-national level. Among the half-dozen women in our Afghanistan 21 group, Zuhra Bahman is that rare thing, a female Afghan CEO. She runs the Kabul-based research and training company Inteqal LLC. During the Taliban period, Zuhra taught at an underground girls’ school in Mazar-e-Sharif in northern Afghanistan. Aayra Nijat has spent more than nine years working in the development sector in Afghanistan and Pakistan, with a focus on policy development, strategic planning, and gender and leadership capacity-building. Saifora Barekzai remains active on behalf of women’s rights; she is the gender coordinator at the Ministry of Education and has worked extensively to further the rights of women in Afghanistan, in conjunction with foreign government aid projects and the Afghan Women Network, among others. Some have come to us via government ministries: Jamil Danish is strategic communication policy advisor to the minister for rural development of Afghanistan; Ameen Habibi is director general of development policies and practices and policy and program implementation at the Ministry of Finance; and Salma Alokozai is an assistant to the minister of education, and former aide to presidential candidiate Dr. Ashraf Ghani. Lastly — the athlete. Not just any athlete. Zahra Mahmoodi is captain of the Afghan women’s soccer team. She has participated in dozens of international matches in Afghanistan and abroad. She organizes and actively participates in social youth gatherings and sports events. As a youth leader, Zahra has been an open and public advocate — in the local and international media — for women athletes and women’s rights. She has also served as head of the women’s committee at the Afghan Football Federation and the coach of an under-13 national soccer team. Taken together, Asia Society’s latest Afghanistan 21 class suggests a tapestry of diversity, in terms of background and talent, ambition and intelligence. More than anything, it’s a rich and nuanced portrait of the nation’s future, something other than the daily-news fare of violence and corruption. We wish them all the very best, look forward to the fruits of their engagement, and we, like so many who care about Afghanistan and the Afghan people, will dare to hope for great days ahead. Abdul Moqim Abdulrahimzai is the Nawa Radio Manager at Saba TV. Originally from Logar province, he is currently based in Kabul. Abdul Moqim has vast experience in media and has been working for both national and international media outlets in Afghanistan. He also serves as a country representative for Deutsche Welle (DW). Abdul graduated from Naderia high school and received his Bachelor’s degree from Kabul University’s literature department. Salma Alokozai is an assistant to the Minister of Education. A member of Sela Foundation, she is actively involved in volunteer and charity work. Previously, Salma worked as a media coordinator and as a personal assistant to Dr. Ashraf Ghani Ahmadzai during his 2009 presidential campaign. She also worked as a journalist and program producer with Saba Media Organization for three years. Salma is an alumna of the United Nations Institute for Training and Research fellowship program and received a medal in 2011. She speaks fluent Pashtu, Dari and English. 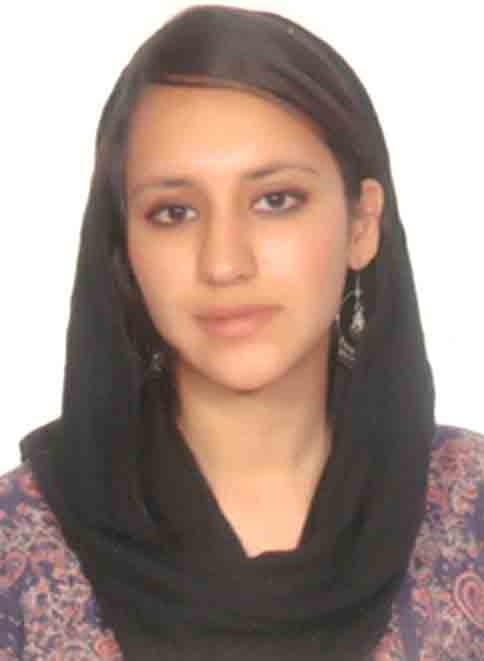 She is currently majoring in Political Science and Public Administration at the American University of Afghanistan. 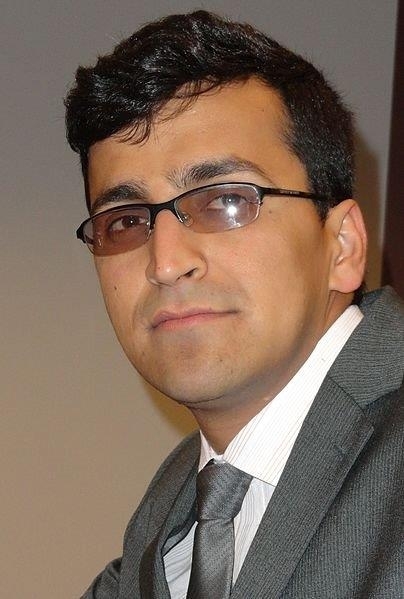 Sadiq Amini is a Political-Military Assistant at the United States Embassy at Kabul. Prior to joining the embassy, he worked as the Head of the Communication & Public Relations Unit at the Comprehensive Agriculture and Rural Development Facility, a joint entity established under the auspices of the Agriculture and Rural Development (ARD) Cluster ministries. Sadiq has also worked in a number of volunteer positions, including as Spokesperson Youth Council, Cultural Affairs Officer – Youth Council, Sports Secretary – Federation of International Students Association, Representative – Undergraduate Class, Representative – Afghan Students Association in Bangalore and Representative – International Students Association in Christ College. He is a Fulbright alumnus, batch of 2011-2013. He completed his Master’s degree in Diplomacy & International Security from Patterson School of Diplomacy, University of Kentucky. He is also an Indian Council for Cultural Relations (ICCR) alumnus, batch of 2007-2010. He completed his Bachelor’s degree in Political Science from Christ College, Bangalore. Ramin Anwari is the co-founder of Sela Foundation, a youth led grassroots organization established in 2007. He has been involved in youth mobilization activities that aim to enhance youth presence and engagement in social initiatives, with the ultimate goal of changing attitudes towards human rights. Ramin has worked extensively as a journalist with Radio Free Europe/Radio Liberty and the British Broadcasting Corporation (BBC) as an online producer. He holds a Master’s degree in Applied Human Rights from The University of York. He has previously contributed to the work of a number of human rights organizations in Afghanistan, including Women and Children Legal Research Foundation (WCLRF), mainly developing public relations, research and human rights training material. Zuhra Bahman is the CEO of Kabul-based research and training company Inteqal LLC. During the Taliban period, Zuhra taught at an underground girls’ school in Mazar-e-Sharif in northern Afghanistan. In 2000 she immigrated to the UK where she obtained her undergraduate degree in anthropology and law at the London School of Economics and Political Science. Subsequently, Zuhra earned her Master’s degree in Conflict, Security and Development from King’s College London. From 2003 to 2005, she worked at the British Red Cross’s education department focusing on widening marginalized children’s access to education. She ran a countrywide training program on prevention of child trafficking for ECPAT UK, an international anti-trafficking NGO. She was the youngest person to participate in and address the historic Bonn Conference on Afghanistan in 2001. From 2008 to 2010, she taught at several universities including King’s College London and University of Ottawa, Canada. Saifora Barekzai is the Gender Coordinator at the Ministry of Education. She started working with Hamkar Rural Rehabilitation and Development Organization (HRRDO) as a project manager in 2006 for about a year. Saifora has also worked with MOWA, Afghan Women Network, Canadian Embassy, CIDA, Swedish Embassy, SIDA, and USAID, Rights and Democracy. She enjoys debate, sports, cooking, textile design, candle making and silk painting. Saifora holds a Bachelor’s degree in English Literature from Punjab University, Lahore, Pakistan and a Master’s degree in Politics and International Relations from International Islamic University, Islamabad, Pakistan. She completed a short fellowship on Applied Human Rights at the University of York in England in 2008. Jamil Danish is the Strategic Communication Policy Advisor to the Minister for Rural Development of Afghanistan (MRRD). He has years of experience in media strategy, media law, political communication, public relations, and journalism. Before joining MRRD, he worked as a communication manager for Afghanistan’s second largest economic program, MISFA. Jamilalso served as spokesperson for the United Nations Assistance Mission (UNAMA) in the office of the Special Representative of UN Secretary-General for Afghanistan (SRSG) from 2003 to 2010. He studied political science and public administration at the American University of Afghanistan and international journalism at West Themes College in London. He also obtained a certificate in law sponsored by Stanford University under Afghanistan’s Legal Education Program. He is fluent in written and spoken English, Persian (native), Pashto (second language) and has a working knowledge of Urdu. Ameen Habibi is the Director General for Policy and Program Implementation at the Ministry of Finance. Ameen has led the preparation and coordination of implementation of the National Development Plan (ANDS) and its prioritization in coordination with all stakeholders including donors. As Director General, he supervises and coordinates the tasks of two directorates, Afghanistan National Development Strategy (ANDS) and Joint Coordination and Monitoring Board (JCMB) Secretariat. He is also currently enrolled as a graduate student at the Institute of Geneva where he is pursuing International Executive Master’s degree in Development Policies and Practices (DPP). He earned his first Master’s degree in Public Administration from the Canberra University, Australia and a Bachelor’s degree in Economics & Political Sciences from Cairo University, Egypt. Mohammad Shafiq Hamdam is the Founder and Chairman of the Afghan Anti-Corruption Network. A 2013 Nobel Peace Prize Nominee, Mohammad is a social activist promoting peace, justice and human rights. The Afghan Anti-Corruption Network is the leading and the largest network of civil society organizations fighting corruption in Afghanistan. He has 15 years of progressive working experience with civil society organizations, free media, UN projects, the US government and NATO. He also works as Senior Public Diplomacy Advisor of NATO in Afghanistan. He is the founder of Youth for Peace, Anti-Corruption Watch Organization, Kabul Tribune (an online newspaper) and is co-founder of the Afghan Women Coalition Against Corruption. He is a member of the United Nation Coalition Against Corruption, Voice Against Corruption, a program associate of the Hiroshima Peace Building Center of Japan, and an alumnus of Young Leaders Forum at Friedrich-Ebert-Stiftung. 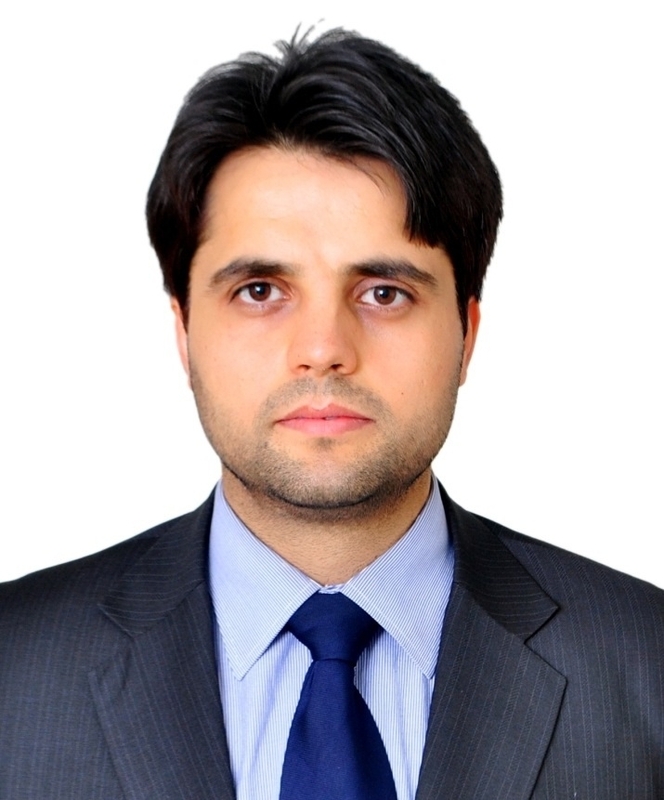 Ahmed Javed is the Chief Technical Officer for Afghan Telecom (AFTEL) at the Ministry of Communications and Information Technology. He was awarded a full scholarship to pursue studies in Electronics and Communication Engineering in Pakistan. In 2003, he received a Chevening Scholarship and completed his graduate studies in Telecommunication and Distributed System in the United Kingdom. In 2006, he was awarded a DAAD scholarship by the German Foreign Ministry and completed a program in Electronics and Engineering Management in Germany. In 2008, he returned to Afghanistan and joined a U.S.-based Internet Service Provider (ISP) company, Nashita LLC, as Deputy Country Manager and later as acting Country Manager. His main focus has been on the planning, designing, implementation and operation of the new GSM and 3G networks that will be launched shortly in Afghanistan. Ahmed has also taught as part-time lecturer in various private and government institutions both in Afghanistan and Germany. Freshta Karim is the Communication Officer at ActionAid Afghanistan. She has previously worked as a host for a children’s show at National TV in 2005, as a journalist for Saba TV and Radio Nawa, and as a presenter and producer until 2010. Freshta has been a member of the Gender Equality Society in college, has interned with CSR India, and ActionAid Afghanistan, was part of the sponsored educational tour “Jagriti yatra” across India, and has participated in a DAAD sponsored summer school “Muslims in the West” at Erfurt University, Germany. A keen observer, an avid reader and blogger, Freshta writes her thoughts regularly at http://freshtauncut.tumblr.com/. She studied Political Science from Punjab University, India and was awarded the ICCR scholarship. Zahra Mahmoodi is the captain of the Afghan women’s soccer team. She has participated in dozens of international matches in Afghanistan and abroad. She organizes and actively participates in social youth gatherings and sports events. As a youth leader, Zahra has presented in local and international media advocating for women athletes and women’s rights. She holds many certificates in sports education including internationally recognized coaching certificates from FIFA. She graduated with the highest mark from Physical Education Faculty at Kabul Education University where she obtained her bachelor’s degree in 2012. She also completed an intensive English language program at the American University of Afghanistan. Zahra works as the transfer manager at the Afghanistan Football Federation. Previously she was the head of the women’s committee at the Afghan Football Federation and the coach of an under-13 national soccer team. She has travelled extensively throughout Europe and Asia. Aayra Nijat has spent over nine years working in the development sector in Afghanistan and Pakistan, with a focus on policy development, strategic planning, national and sub-national governance, international political analysis and gender and leadership capacity building. She has assisted organizations such as the Action Aid International, United Nations Development Program, BHP Billiton, National Democratic Institute, Friedrich Ebert Foundation, International Organization of Migration, and the Governments of Afghanistan and Canada. Aarya holds a Master’s degree in Public Administration from the Harvard University Kennedy School of Government, a Masters in International Relations, and dual undergraduate degrees in Political Science and Law from Quaid-i-Azam and Punjab Universities. She was born in Afghanistan and raised in Afghanistan and Pakistan. 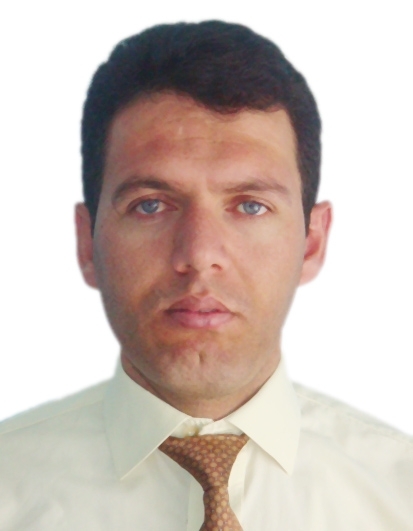 Ahmad Shuja is Partner and Co-founder of Impassion Afghanistan. A young Afghan professional with extensive media and leadership experience, Ahmad is passionate about human rights and social entrepreneurship. He studied economics and political science in the U.S. He served as the president of student government and won the Kentucky Political Science Association annual award for his thesis. Upon graduation, Ahmad served as executive director of the Foundation for Afghanistan in Washington D.C., where he established a college scholarship program for Afghan students, primarily women, and organized fundraising events. As a regular commentator for BBC World News, Al Jazeera English and the Huffington Post, Ahmad helped provide cultural and political context to events in Afghanistan. After six years in the U.S, Ahmad permanently returned to Afghanistan in October 2012 and co-founded a social media and mobile technology company. He also works for Human Rights Watch. Ghulam Sarwar Sultani most recently worked as a Visiting Research Collaborator at Princeton University, where he was involved in a project that promotes the participation of Afghan youth in political, social and economic sectors. Previously, he has worked with multiple local and international organizations in Afghanistan including the American University of Afghanistan (AUAF), where he was directly involved with the AUAF alumni council and student organizations. In 2006, he founded the Afghanistan Relief Organization’s Youth Association and organized fundraising events to support female sports clubs. He earned a Master’s degree from the University of York where he studied Post-War Reconstruction and Development. He finished his undergraduate degree from Georgetown University where he studied International Relations and majored in International Politics. He received scholarships from Qatar Foundation and the Open Society Foundation to complete his studies. Mir Zarif Waez is the Senior Democracy and Governance Advisor in the Office of Democracy and Governance for USAID/Afghanistan. Since early 2007, he has worked at senior positions with United States Agency for International Development (USAID) Office of Democracy & Governance, managing projects and supporting national and sub-national governance. He is currently the Project Manager for a sub-national governance project that is working to build the capacity of the 34 provincial councils at the sub national level. Mir Zarif previously worked as Project Manager for UNDP at the Ministry of Foreign Affairs and for World Bank at the Civil Service Commission. He has served as a lecturer at Kabul University and was the President of Creative Consultancy Services before joining USAID. He holds a Master’s degree in Public Policy and Administration.